I'm a recovering research analyst, so I am a skeptic of everything, Krawcheck said. Wealth managers "do great things," Krawcheck says. "We don't talk about it very often." 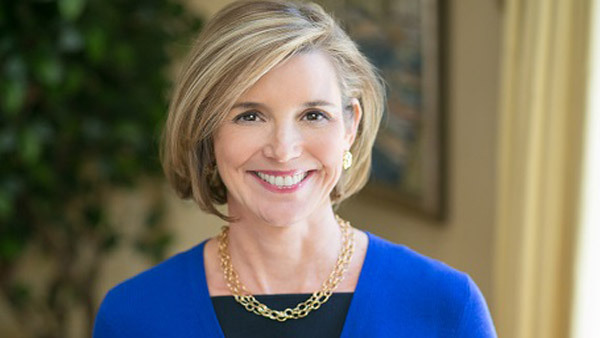 As a “recovering research analyst” – her words – Sallie Krawcheck describes herself as skeptical of everything. Krawcheck, chairwoman of the Wall Street women’s group Ellevate and former head of Bank of America Corp.’s wealth management division, talked with Betty Liu in an interview with Bloomberg TV about her skepticism and her outlook for the banking industry, among many other things. She says market volatility is not good for banks, the bear market is closer, and financial advisors are more valuable than people think. She’s concerned about what really happens when interest rates in the United States finally rise. She discusses what women really want in their work. She predicts what hiring might look like in the industry this year, and she admits she misses working on Wall Street. BETTY LIU: So how do you feel Wall Street is going to turn out this year? SALLIE KRAWCHECK: Well how are the markets going to do this year, because that’s all you ever had to know. In fact isn’t it interesting, because in a year in which they did just a touch better than the markets, back in the day they would have done quite a bit better. They were high-beta stocks. KRAWCHECK: If markets were good, their earnings were good. That’s all you had to know. And of course things are changing because there continue to be investor concerns about “Are they undercapitalized? What are the regulators going to do?” And we’re closer to a bear market than we were last year. We don’t know when it will be there. Every year we think we are closer, and, well, by definition we’re closer, but whether one happens or not. And I think concerns about what really happens when interest rates in the United States finally rise, what will that mean. LIU: Yes. Well, generally speaking, volatility, it’s supposed to be good for banks, right? And it hasn’t been. KRAWCHECK: Yes, because it’s not. It’s so interesting, isn’t it, because you hear about the banks. We’re all set for rising interest rates. Remember 18 months ago interest rates rose and the results were poor. KRAWCHECK: Whether it’s because their clients (had) been held back, because they were short-term ill-positioned, you never know. But you got to be careful about what you read on Page 52, Note 10, Paragraph 3, we’re ready for rising rates. KRAWCHECK: Bear-market bank, bad words together. LIU: Now are you looking at what’s happened in the last several years, and last year in particular, are you glad you’re out of Wall Street? Are you glad you’re not managing at this point given the uncertainties? It’s pretty uncertain right now on Wall Street, right? KRAWCHECK: Well so some days weren’t so fun. If you take a step back though, the wealth management businesses of these companies do great things. We don’t talk about it very often, but these financial advisors are out there helping American families live the lives they want and prepare for retirement. We forget that, right, because we talk about are they outperforming, or this product, or this capability, but a big step back these financial advisors do real good and we forget that. And so of course I hate — I don’t mind missing the 85th operational risk management committee meeting that went into its fifth hour, but in terms of what Wall Street really can do and impact, yes, it’s hard not to always want to be part of something like that. LIU: How about hiring on Wall Street? How do you think that’s going to pan out for this year? KRAWCHECK: Again I think it’s the industry has shown again and again that it will overhire in good times and fire in bad times. It’s really very tough. And it has a real negative impact on the business. If you, if people think they’re there for a short period of time because they see that series of layoffs or they see the big hires and the folks come and go, they’ll act like they’re there for a short period of time. And while the compensation has stretched out that time horizon, it’s not clear that it has yet stretched it enough to get the long-term perspective that’s good, not just for the stockholders who everybody is paid to look after, but for the fixed income holders and the economy at large. LIU: Well do you feel that yourself, any of that kind of impact? Do you feel it at Ellevate, whether it’s banks sort of stepping back in spending, or banks not hiring as much? Do you feel that as well through Ellevate? KRAWCHECK: Well I tell you what we can feel, because Ellevate is a professional woman’s network, and we have a range of women, from women who are in college to women who are in their 70s and 80s, although so many of our women are sort of a couple of steps into their career. What we hear a lot more from women is that as they list out the things that are most important to them in work, No. 1 is meaning and purpose. No. 4 is money. And it doesn’t mean money isn’t important, but it’s more about professional development, meaning and purpose and so on. LIU: But does that mean Wall Street is not high on their list? KRAWCHECK: — oh and living it, right? LIU: Now just bottom line though, what will you be looking for on Wall Street? What’s sort of the big thing that you’re keeping your eye on then? KRAWCHECK: Well I think for all of us you have to look at those capital levels, the liquidity levels, the safety, because we know the Wall Street banks are safer. The question we haven’t answered yet is are they safe enough in a downturn, because they’re still highly leveraged. Nine percent equity to assets, 10% equity to assets is still highly levered. It’s better than 2% by a lot. LIU: But it sounds like … you might have your doubts then that you’re not sure if they’re safe. KRAWCHECK: I’m a recovering research analyst, so I am a skeptic of everything.